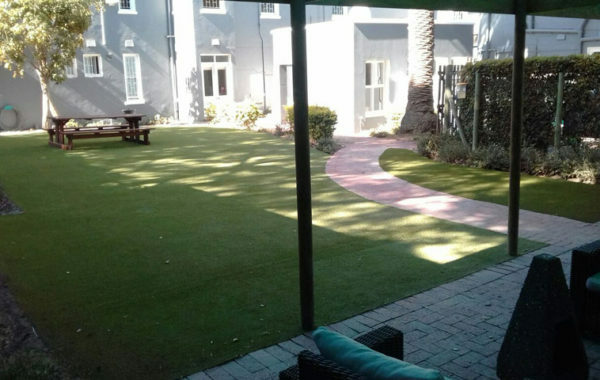 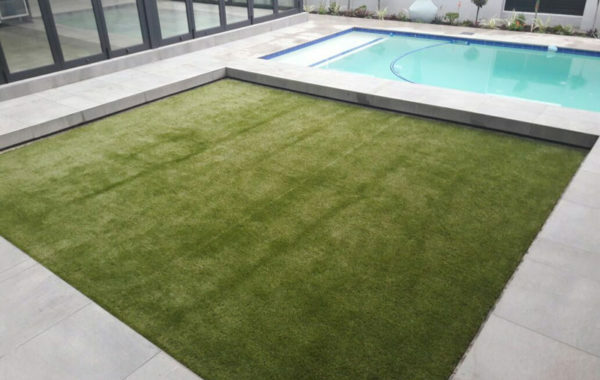 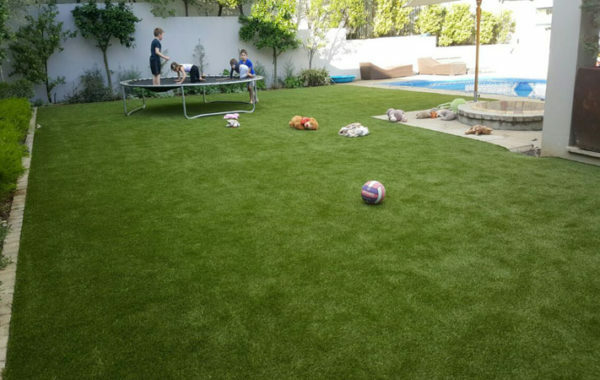 Switch to an Artificial Grass Lawn – soft, safe and looks just like real grass! 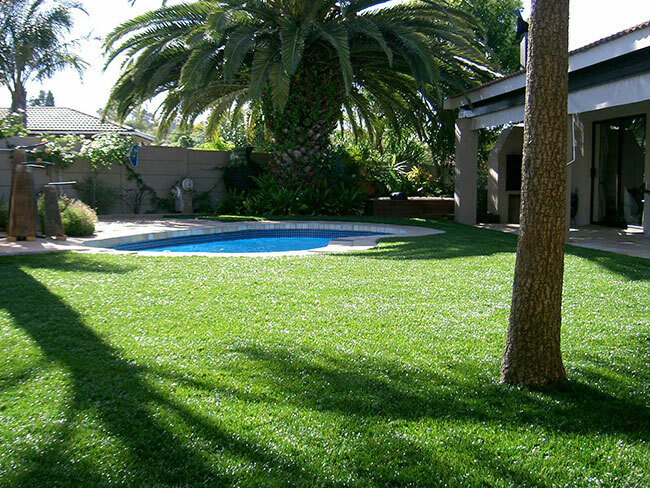 Want a perfect lawn without the hassles & costs. 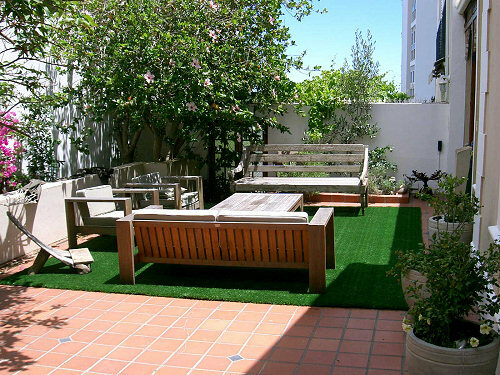 Switch to an artificial grass lawn! 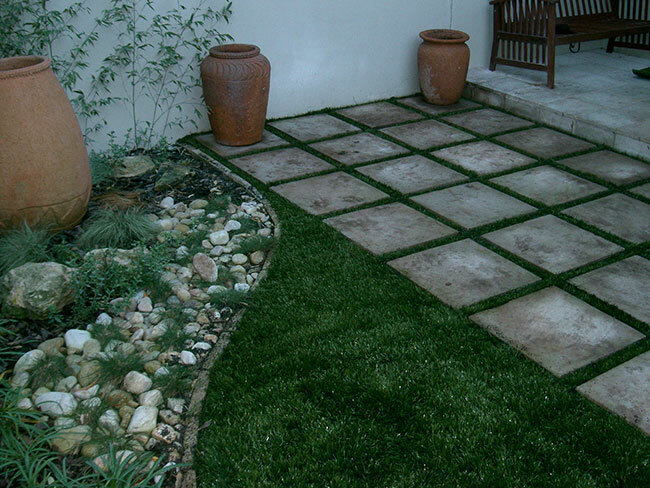 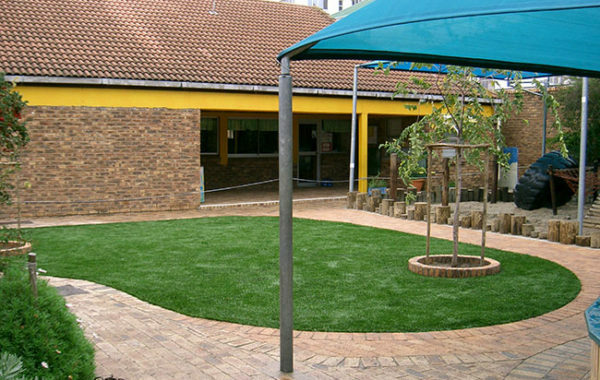 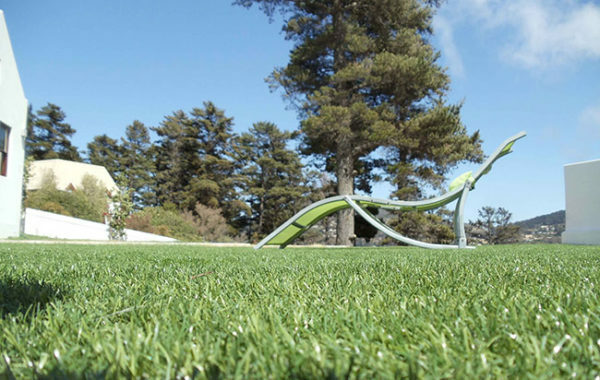 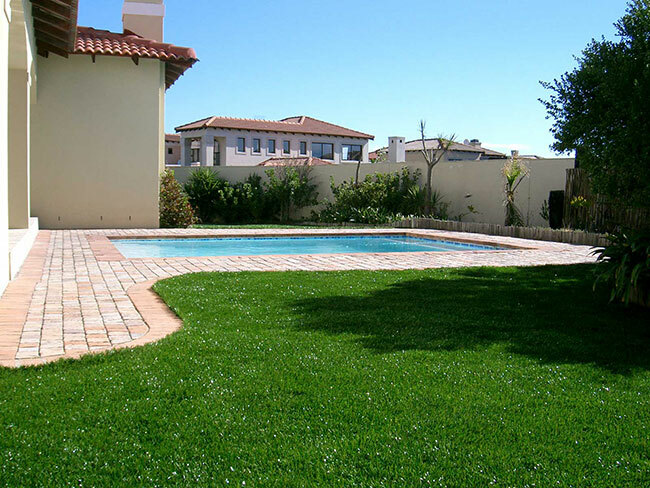 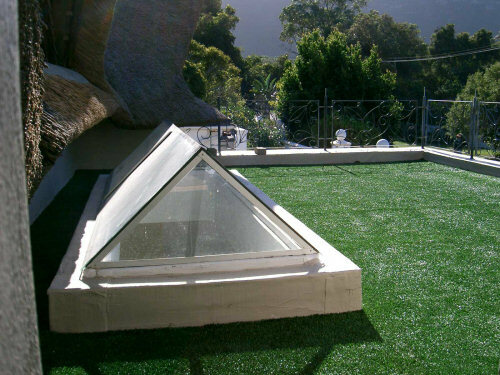 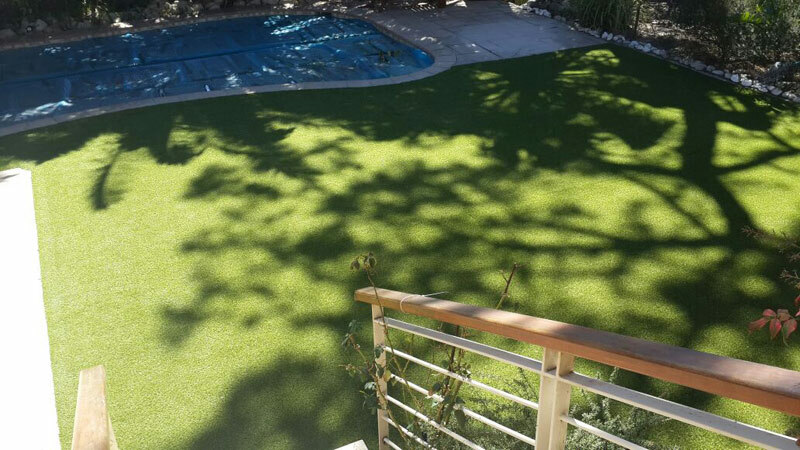 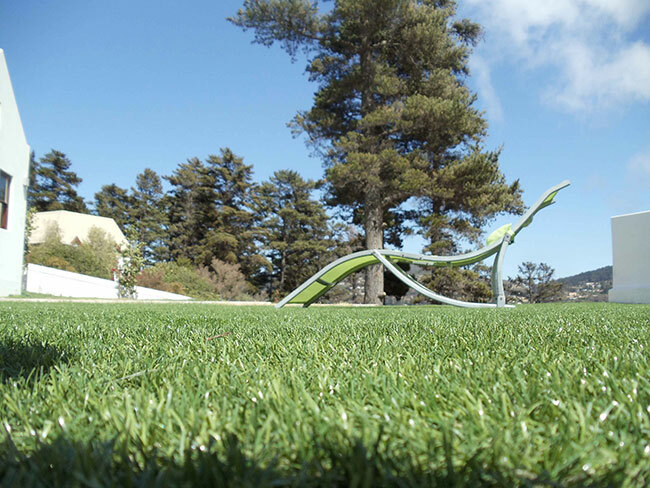 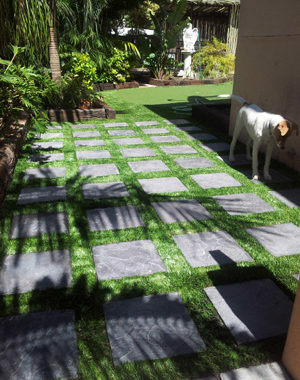 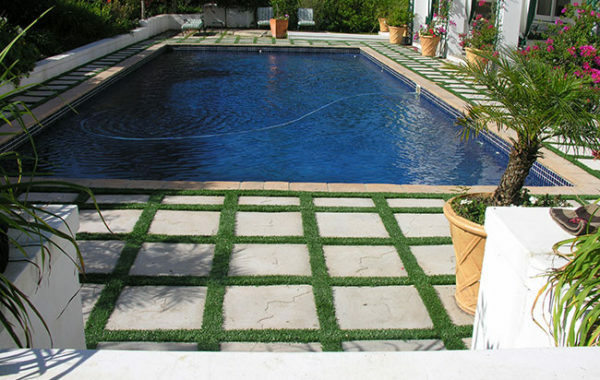 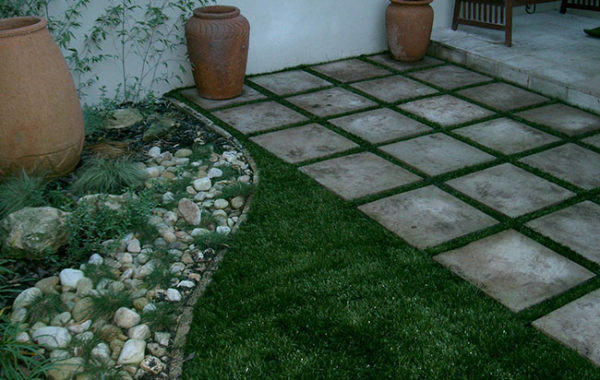 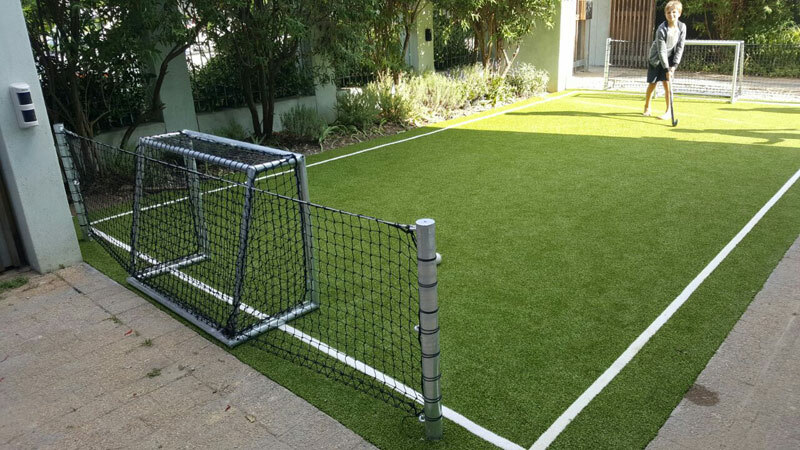 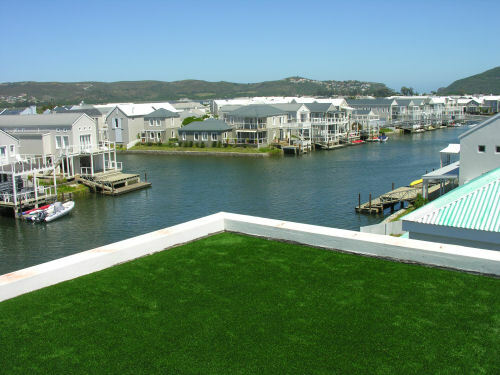 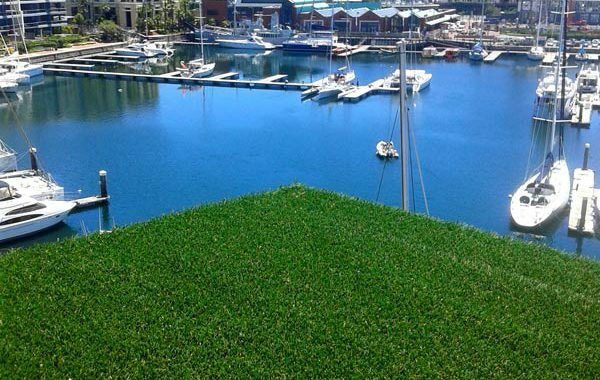 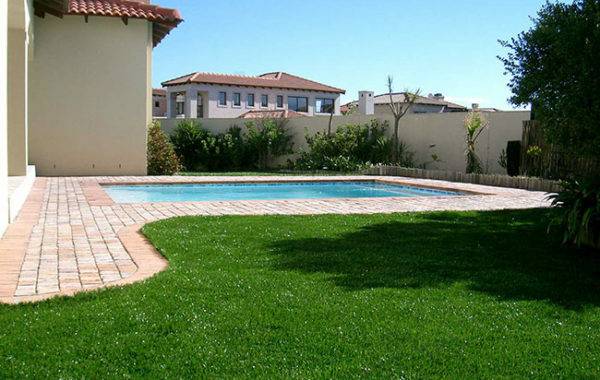 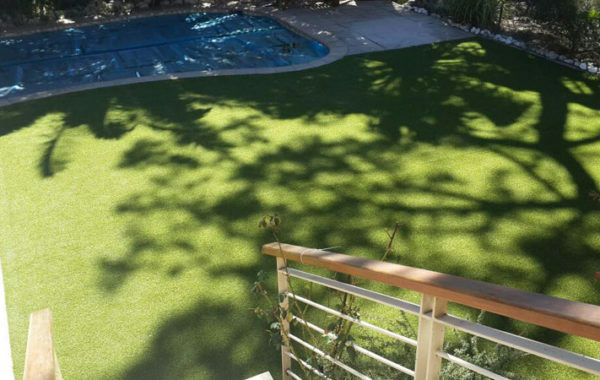 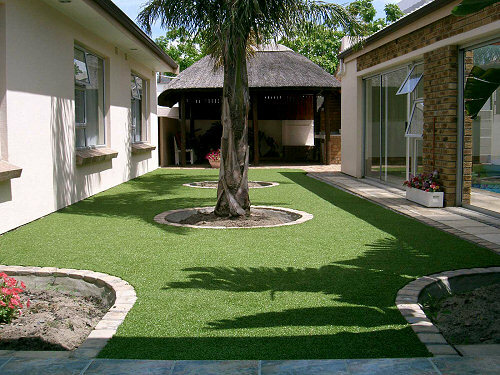 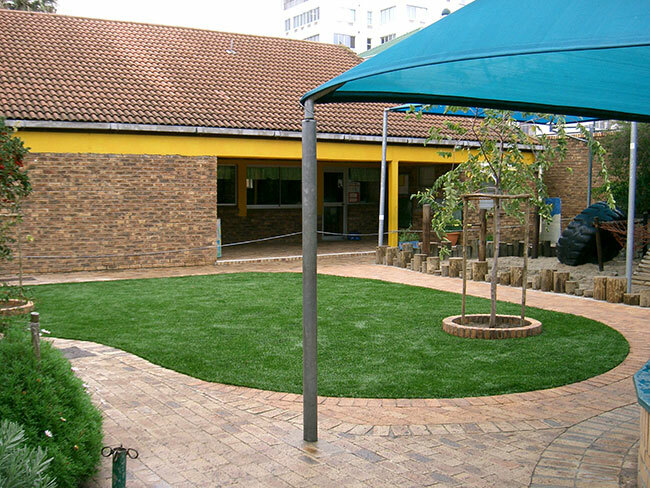 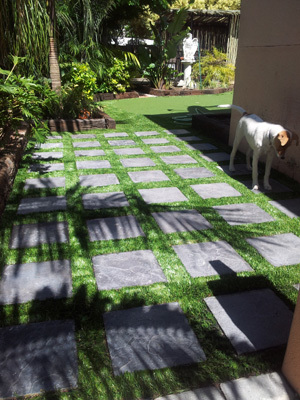 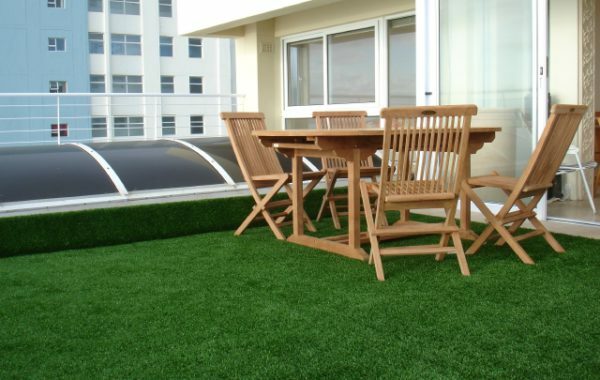 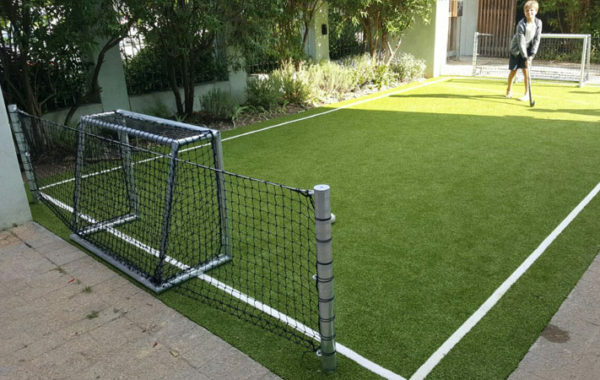 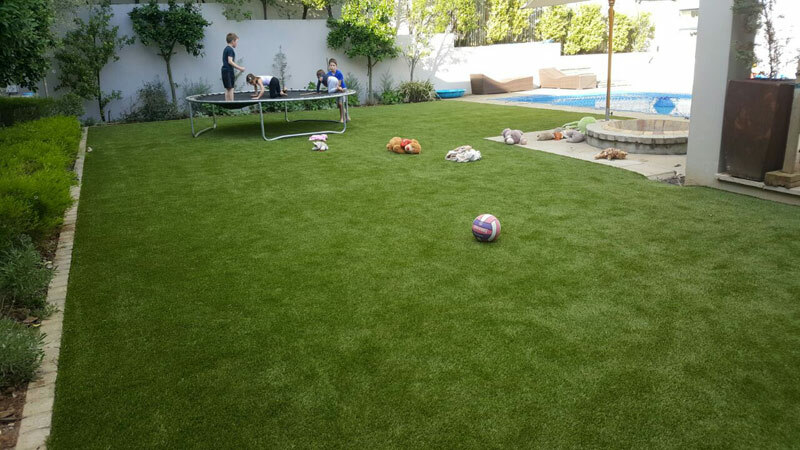 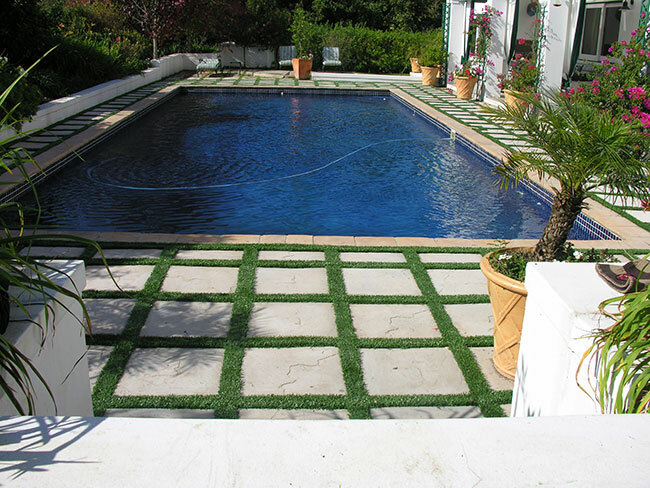 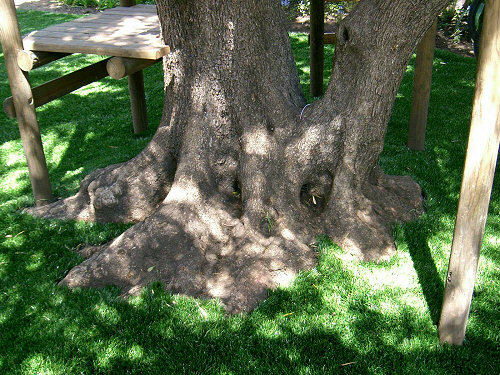 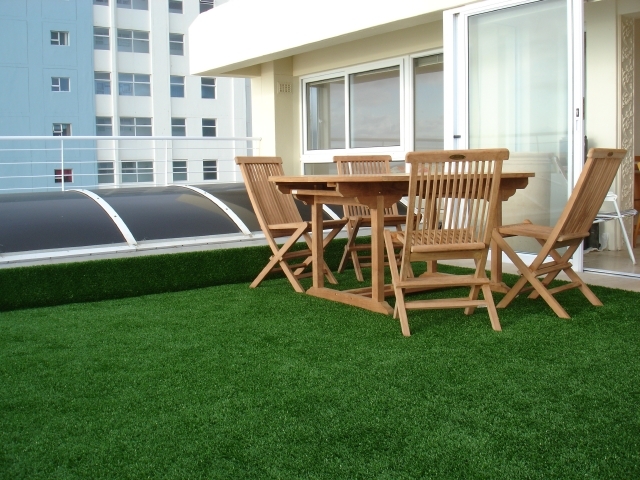 Artificial grass provides a soft, safe surface that looks just like real grass. 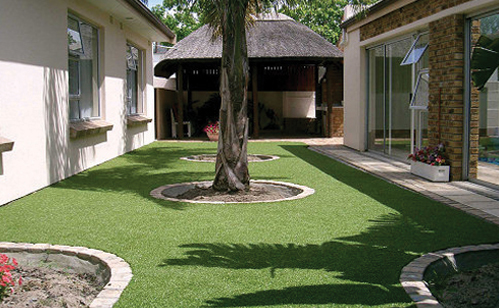 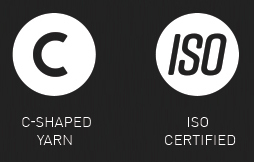 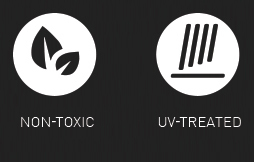 Our products are used in the sporting industry and provide maximum durability with life spans well over ten years. 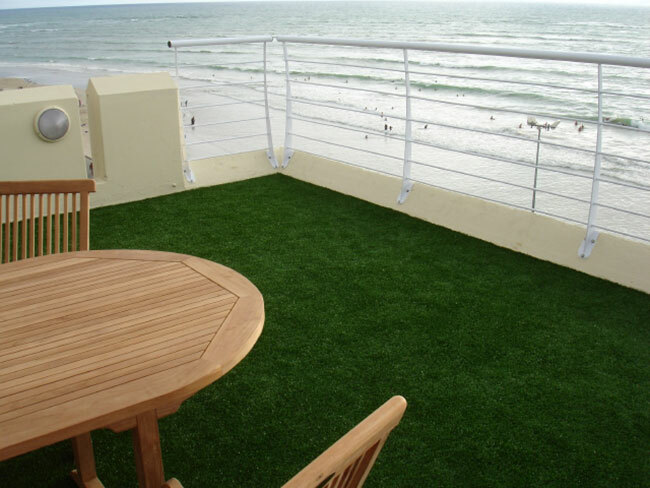 We have a variety of products ranging from 10mm to 55mm in pile height. 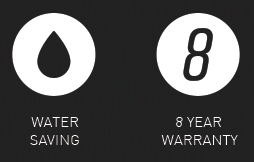 All products and installations are guaranteed for up to eight years. 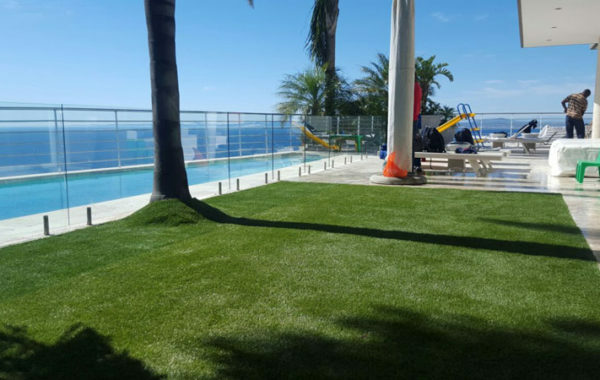 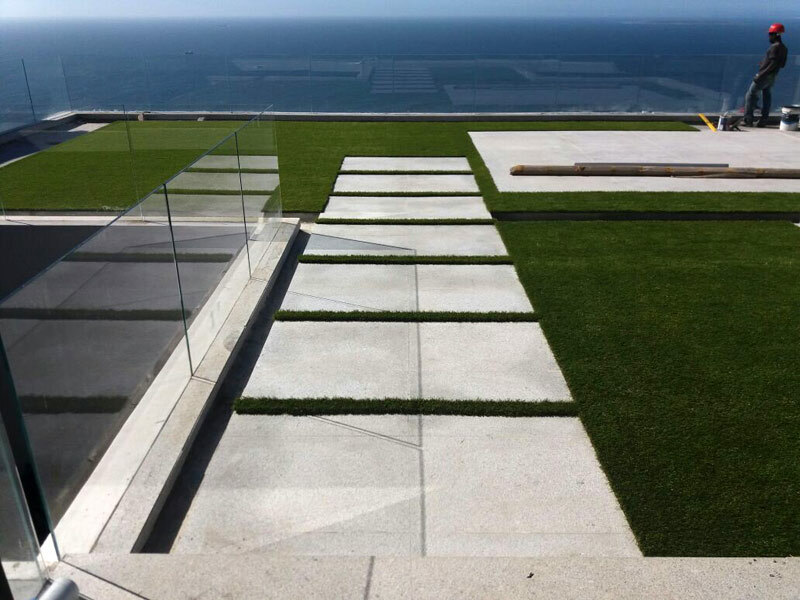 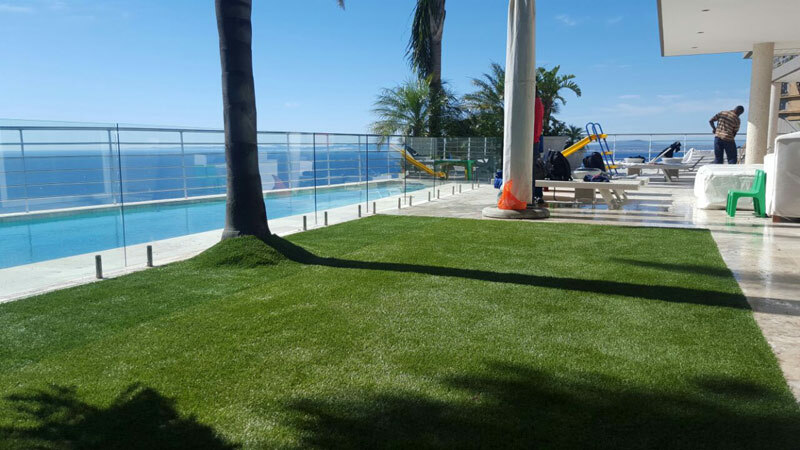 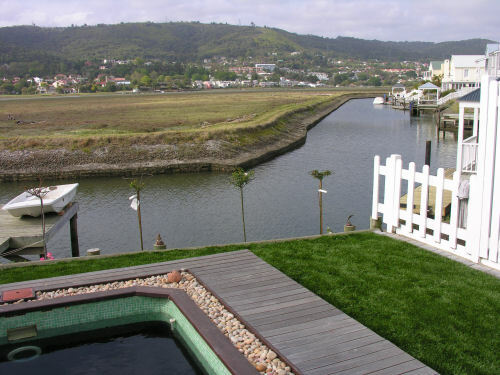 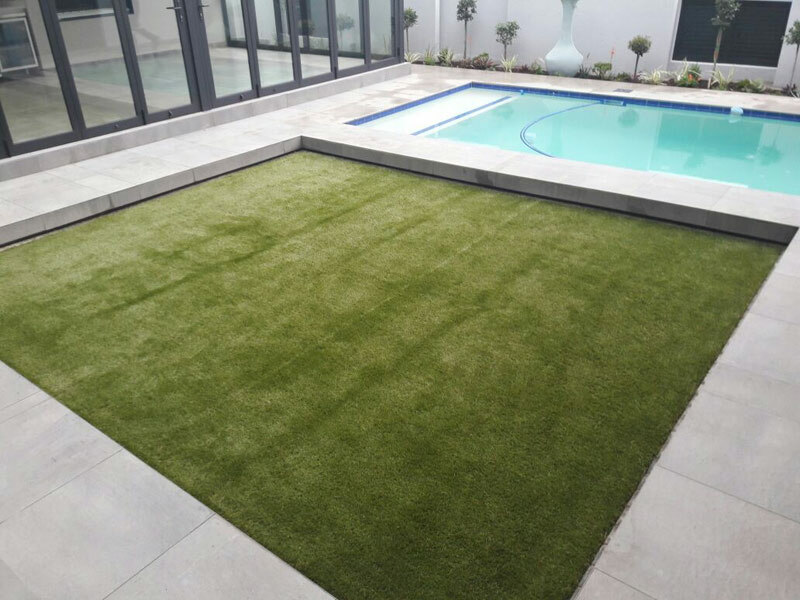 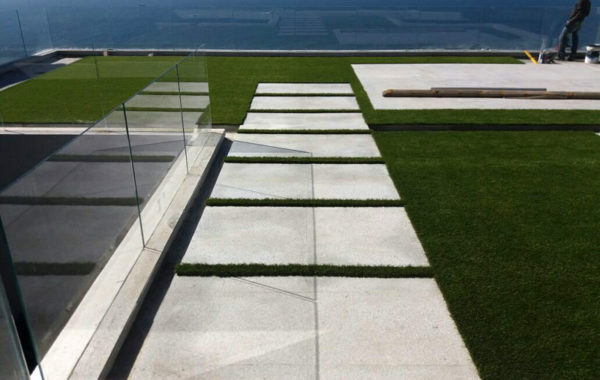 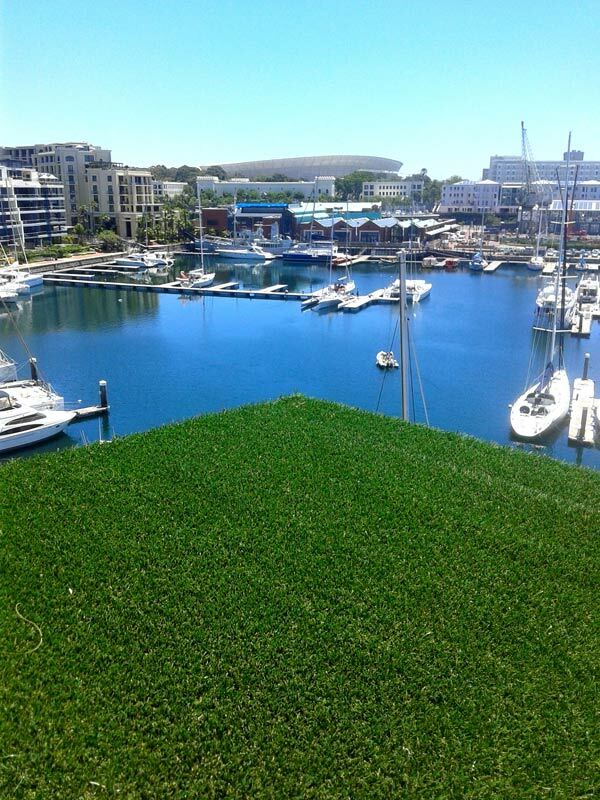 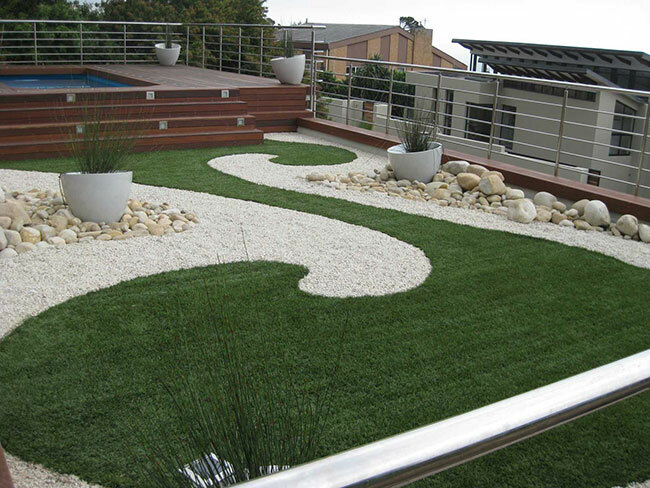 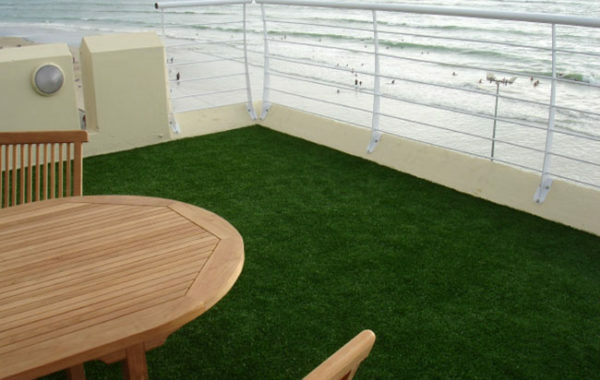 Artificial grass is virtually maintenance free and is the perfect substitute for natural grass, hard balconies and terraces. 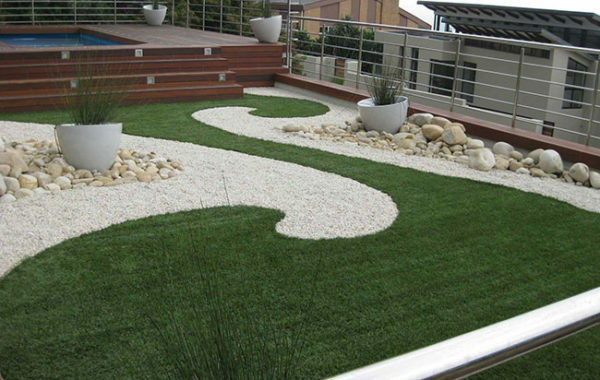 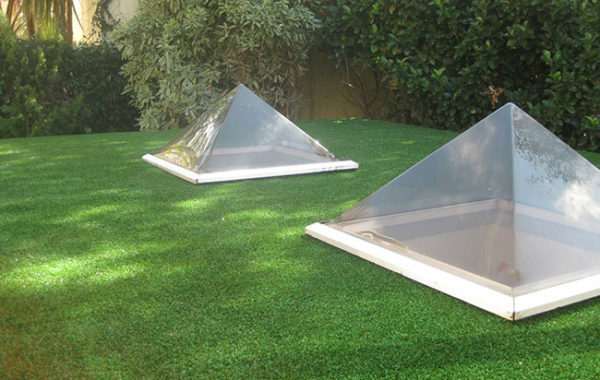 Synsport also offers a full landscaping and edging service to compliment the artificial grass. 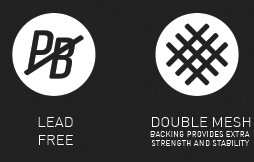 We have listed our products and answered some frequently asked questions below. 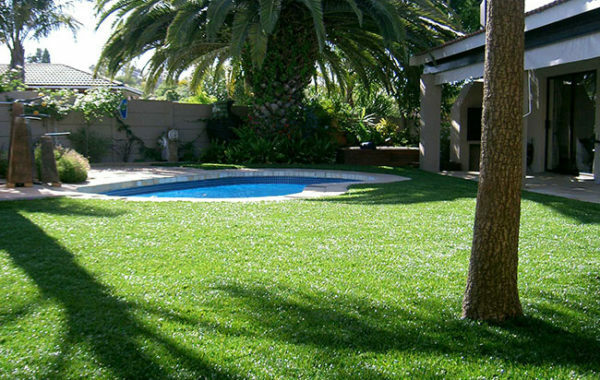 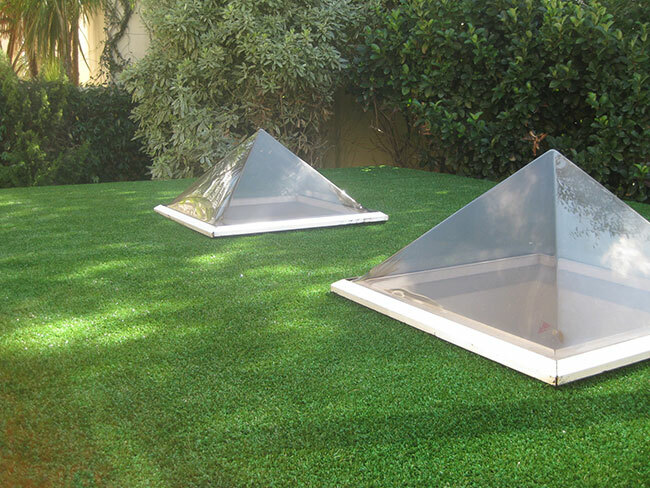 View our products on syntheticlawn.